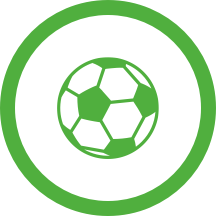 The Hoffenheim - Bayer Leverkusen (Football - Bundesliga) match in 29/03/2019 12:30 is now complete. That's full-time at PreZero Arena. The final score is 4 - 1. Corner awarded to 1899 Hoffenheim. At PreZero Arena the fourth official shows that 1 minutes will be added to the second half. Ball safe as 1899 Hoffenheim is awarded a throw-in in their half. Kai Havertz's header is off-target for Bayer Leverkusen. Harm Osmers awards 1899 Hoffenheim a goal kick. Throw-in for 1899 Hoffenheim in their own half. 1899 Hoffenheim are pushing forward but Ishak Belfodil's finish is wide of the goal. Goal kick for Bayer Leverkusen at PreZero Arena. Ermin Bicakcic is replacing Ishak Belfodil for the home team. Bayer Leverkusen are too eager and fall into an offside trap. Bayer Leverkusen's Kai Havertz has been booked in Sinsheim. Julian Baumgartlinger for Bayer Leverkusen gets in a strike but fails to hit the target. Bayer Leverkusen are caught offside. Julian Brandt (Bayer Leverkusen) gets in a strike but the shot is blocked by a defender. 1899 Hoffenheim's Ishak Belfodil gets in a shot on goal at PreZero Arena. But the effort is unsuccessful. Lucas Alario is on a sub for Leon Bailey for Bayer Leverkusen. Goal! Andrej Kramaric extends 1899 Hoffenheim's lead to 4 - 1. That's a fine assist from Ishak Belfodil. At PreZero Arena, Bayer Leverkusen are penalized for being offside. 1899 Hoffenheim awarded a throw-in in their own half. Bayer Leverkusen push forward at PreZero Arena and Kevin Volland gets in a strike. This is blocked, however, by a determined 1899 Hoffenheim defence. Jonathan Tah of Bayer Leverkusen gets in a strike, but is off target. 1899 Hoffenheim have a goal kick. 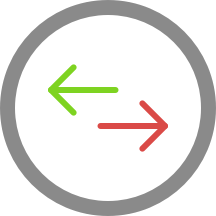 Julian Nagelsmann is making the team's second substitution at PreZero Arena with David Otto replacing Leonardo Bittencourt. Ball goes out of play for a 1899 Hoffenheim goal kick. In Sinsheim, Bayer Leverkusen push forward quickly but are pulled up for offside. Bayer Leverkusen have been awarded a corner by Harm Osmers. In Sinsheim, Julian Baumgartlinger of Bayer Leverkusen is presented with a shooting opportunity. But the strike is blocked by the covering defence. Julian Brandt (Bayer Leverkusen) is given an opening but the shot is blocked by a defender. Charles Aranguiz (Bayer Leverkusen) is given an opening but the shot is blocked by a defender. Great finish from Ishak Belfodil to give 1899 Hoffenheim a 3 - 1 lead. Florian Grillitsch instrumental with a fine assist. Bayer Leverkusen's Leon Bailey is on target but unsuccessful. Bayer Leverkusen push forward through Mitchell Weiser, whose finish on goal is saved. Julian Brandt (Bayer Leverkusen) goes for goal but the shot is blocked by an alert defence. Throw-in high up the field for Bayer Leverkusen in Sinsheim. Harm Osmers signals a free kick to 1899 Hoffenheim in their own half. Nadiem Amiri (1899 Hoffenheim) goes for goal but the shot is blocked by an alert defence. Sven Bender blunders with an own goal. This makes it 2 - 1. 1 instrumental with a fine assist. Pavel Kaderabek with an assist there. Sven Bender puts the ball in the net and the home team now lead 2 - 1. 1899 Hoffenheim have been awarded a corner by Harm Osmers. The match at PreZero Arena is underway again. Joelinton (1899 Hoffenheim) does not seem to be able to continue. He is replaced by Nadiem Amiri. Joelinton is writhing in pain and play has been suspended for a few moments. Joelinton is back on his feet again. Joelinton is down and play has been interrupted for a few moments. Throw-in for Bayer Leverkusen at PreZero Arena. Kai Havertz of Bayer Leverkusen smashes in a shot on target. The keeper saves, though. Harm Osmers awards Bayer Leverkusen a goal kick. The second-half is underway in Sinsheim. Harm Osmers signals a Bayer Leverkusen throw-in in Bayer Leverkusen's half. Benjamin Hubner (1899 Hoffenheim) wins the ball in the air but heads wide. The first-half has come to a close in Sinsheim. 1899 Hoffenheim attack but Benjamin Hubner's header doesn't find the target. Harm Osmers signals a free kick to 1899 Hoffenheim. Harm Osmers will wait an extra 3 minutes before blowing the whistle to end the first half. Can 1899 Hoffenheim capitalize from this throw-in deep inside 1899 Hoffenheim's half? 1899 Hoffenheim have a dangerous throw-in. 1899 Hoffenheim needs to be cautious. 1899 Hoffenheim have an attacking throw-in. Bayer Leverkusen's Julian Brandt breaks free at PreZero Arena. But the strike goes wide of the post. Goal kick for 1899 Hoffenheim at PreZero Arena. Harm Osmers signals a throw-in for 1899 Hoffenheim, close to 1899 Hoffenheim's area. 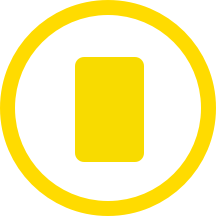 Benjamin Hubner (1899 Hoffenheim) has received a first yellow card. 1899 Hoffenheim awarded a free kick in their own half. Leon Bailey is booked for the away team. The match at PreZero Arena has been interrupted briefly for a check on Lars Bender, who is down injured. Mitchell Weiser (Bayer Leverkusen) has replaced the possibly injured Lars Bender at PreZero Arena. 1899 Hoffenheim's Leonardo Bittencourt gets his shot away but it misses the target. 1899 Hoffenheim to take a throw-in in 1899 Hoffenheim territory. 1899 Hoffenheim drive forward but Ishak Belfodil is judged offside. Benjamin Hubner for 1899 Hoffenheim drives towards goal at PreZero Arena. But the finish is unsuccessful. In Sinsheim a free kick has been awarded the away team. Florian Grillitsch (1899 Hoffenheim) gets a yellow card. 1899 Hoffenheim push upfield but Harm Osmers quickly pulls them for offside. Peter Bosz (Bayer Leverkusen) has taken off Karim Bellarabi who seemed to be grimacing with pain earlier. A possible injury. Charles Aranguiz is the replacement. Kevin Volland gets his shot on target but fails to score for Bayer Leverkusen. Attention is being given to Bayer Leverkusen’s Karim Bellarabi and play has been suspended briefly. In Sinsheim 1899 Hoffenheim attack through Kerem Demirbay. The finish is off target, however. Karim Bellarabi (Bayer Leverkusen) gets in a strike but the shot is blocked by a defender. Kevin Volland (Bayer Leverkusen) levels the match at 1 - 1 with a header. 1899 Hoffenheim's Andrej Kramaric misses with an attempt on goal. Kevin Volland (Bayer Leverkusen) is first to the ball but his header is off-target. Throw-in for 1899 Hoffenheim at PreZero Arena. Ishak Belfodil scores to make it 1 - 0 at PreZero Arena. Great play from Andrej Kramaric to set up the goal. Bayer Leverkusen drive upfield and Leon Bailey gets in a shot. The strike is blocked by a 1899 Hoffenheim defender. Important block from the 1899 Hoffenheim defence as Leon Bailey fires in a strike for Bayer Leverkusen. Free kick for Bayer Leverkusen in the half of 1899 Hoffenheim. Julian Nagelsmann and Peter Bosz have now revealed their starting line-ups. There are 28350 people in the crowd for today's match.